Fountain Pens | If Not Now, When? I love fountain pens, I love the feel, the way they write, the flow of ink on the paper, the variety of colors of inks. I even love how fast they use up the ink! 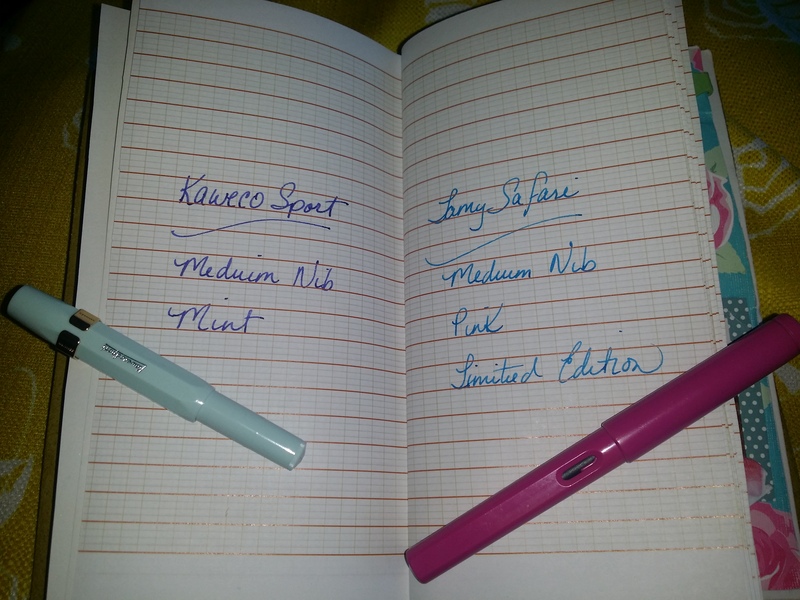 My two favorite fountain pens are the Lamy Safari and the Kaweco Skyline Sport ~ both in medium nib. However, they feel very different in my hand. The Lamy has a ‘seat’ for your fingers to ensure you always hold it correctly for the perfect writing experience….it’s very good for those who are using a fountain pen for the first time. I’ve used them for years and it is still my go-to pen, I love how long and graceful it feels in my hand. I have the Safari in Pink, which apparently is now a limited edition color. My other favorite is the Kaweco Skyline Sp ort. This is a very compact pen, as you can see in the pictures. The pen has a screw-on lid and the lid fits securely on the end of the pen when you are writing. I find putting the lid on the pen end necessary when I write with the pen because the pen is so small otherwise. 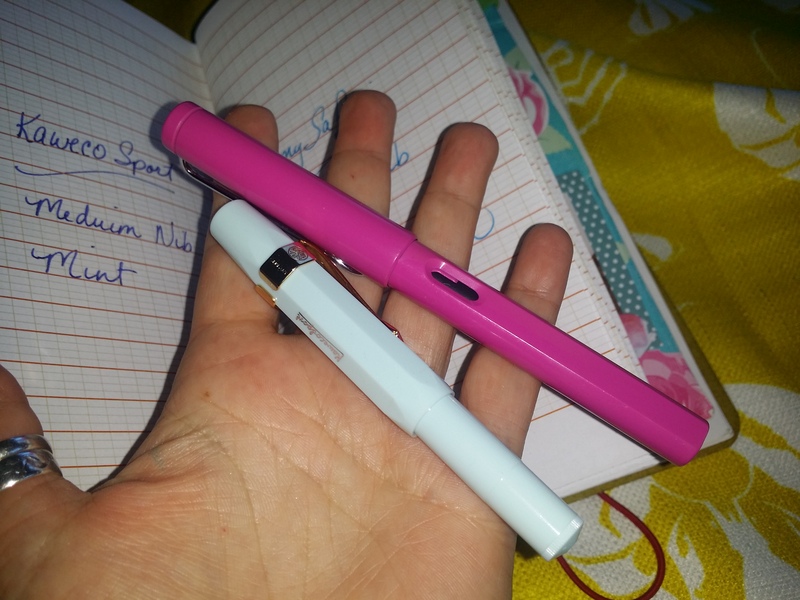 Both pens write exceptionally well, no skipping or puddling of ink and neither of them leak on my hand. Changing cartridges is very easy as well. I have a converter for the Lamy which I rarely use as I find converters a very messy business. The Lamy currently sells on Jetpens for $28, the Kaweco is $23.75. I know it seems like a lot of money for a pen however, I find writing in my TN with a fountain pen to be a rather meditative experience and feel the cost of having something so perfect and sublime in my hand to be totally worth the money.